Bethesda is suing Warner Bros. and Behaviour Interactive over the new Westworld video game which it claims copies parts of 2015’s Fallout Shelter, according to court documents filed with the U.S. District Court for Maryland. The lawsuit was filed June 21 and seeks to have money for damages awarded and for Warner Bros. to stop selling the game. “The Westworld game is a blatant rip-off of Fallout Shelter,” Bethesda charges in their lawsuit, arguing that Behaviour is inappropriately using code developed while assisting the development of Bethesda’s game. 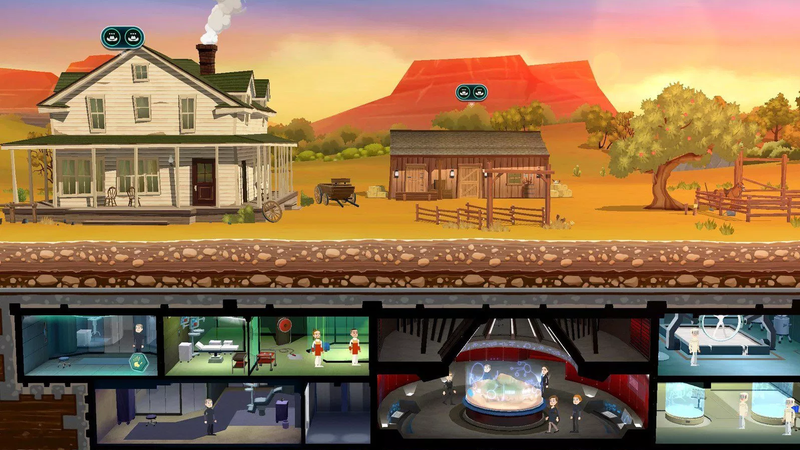 In the suit, Bethesda asserts that it paid Behaviour in 2014 to develop parts of Fallout Shelter and now claims that studio used some of the designs, artwork, and code commissioned for that game to help create Warner Bros. newly released Westworld mobile game. Exhibit L of the lawsuit in which Bethesda cites an article by Kotaku to argue that the two games look very similar. The Westworld game resembles Fallout Shelter, a management sim released three years ago for smartphones and later on PS4, Xbox One, PC, and most recently the Nintendo Switch. Kotaku ran an article saying as much, which Bethesda even cites as Exhibit L in the suit, despite still having the site blacklisted and never responding to our emails. The new lawsuit filed yesterday, however, alleges Behaviour actually used some of the same underlying code for both games, which would put it in breach of its contract with Bethesda. Part of Bethesda’s lawsuit attempting to show that the character models in both games look the same. A section of Bethesda’s lawsuit arguing that Westworld duplicates the visual layout of Fallout Shelter. The rest of the suit goes on to argue what a success the Fallout brand has been, how that success in turn helped Fallout Shelter to be a popular game, and how Westworld’s allegedly ripping off the game “seeks to attract players by its misappropriation of intellectual property of Bethesda.” As a result, the publisher is seeking to recover an unspecified amount of money to compensate for damages and also get the game in its present form pulled. Neither Warner Bros., Behaviour Interactive, nor Bethesda immediately responded to a request by Kotaku for comment. Bethesda has been involved in a number of high-profile suits against other game-makers in recent years. Last year, its parent company Zenimax won a lawsuit against Oculus Rift over violations of a non-disclosure agreement and copyright infringement. In 2012, the company settled a suit against Minecraft-maker Mojang over a trademark dispute regarding a game called Scrolls.